Select ... Small- 6 1/2" Medium- 7 1/2" Large- 8 1/2" X-lg- 9"
These popular Leather Woven Namebands come in four sizes: Small 6 1/2" - Medium 7 1/2" - Large 8 1/2"- X-Large 9". They are 1/2" wide lightweight top grain cowhide leather. 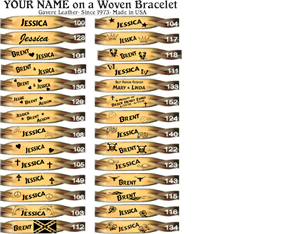 Most popular Leather Nameband is the "couples" bracelet with two names. Also popular is the "In Memory Of" Leather Name Bracelet in honor of those we've lost. 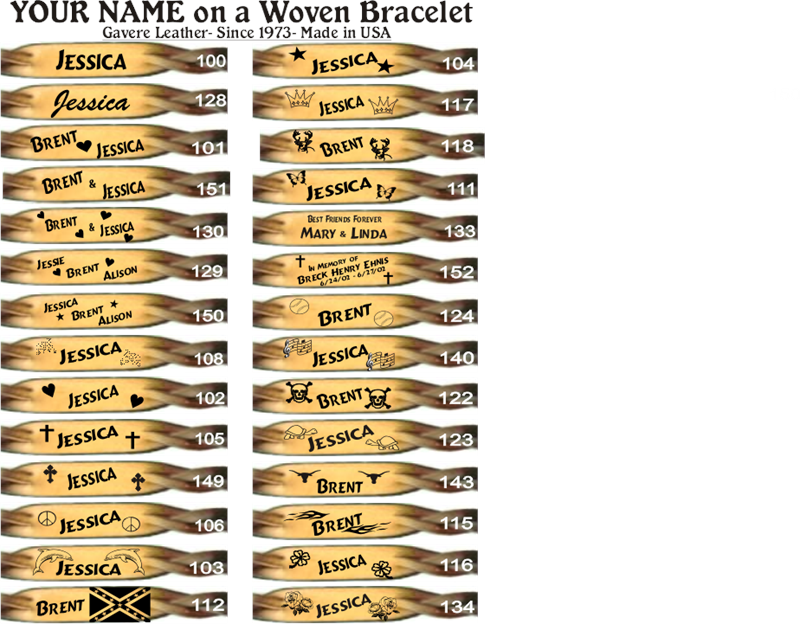 Choose from many popular designs to put on each side of the name or names.